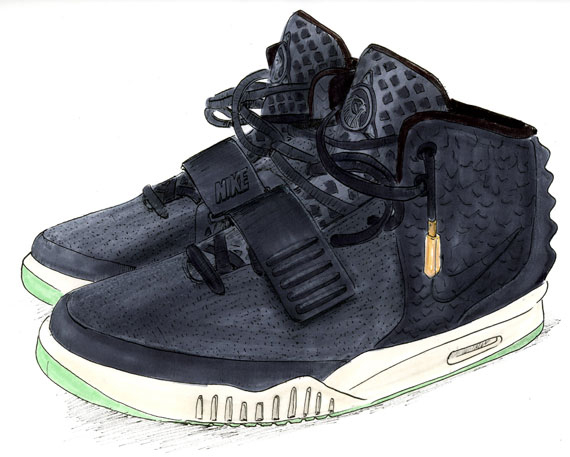 Possibly the most anticipated sequel to any sneaker in the history of the game is Kanye West’s second project with Nike Sportswear. 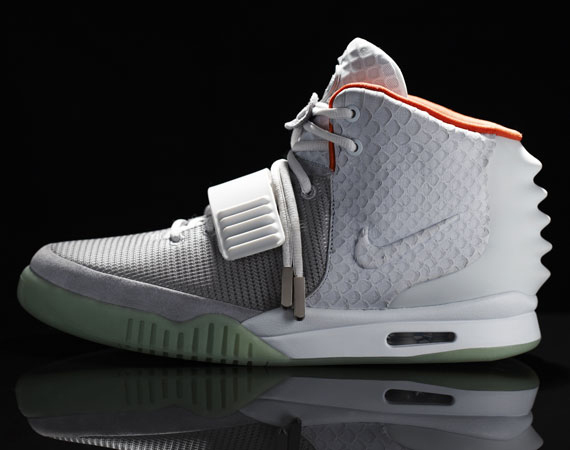 The first Yeezy was introduced in 2009 (hope you remembered that proceeds went to a charity of Kanye’s choice) and has since created an indomitable legend in such a short period of time, causing an increased excitement about the the second Air Yeezy. 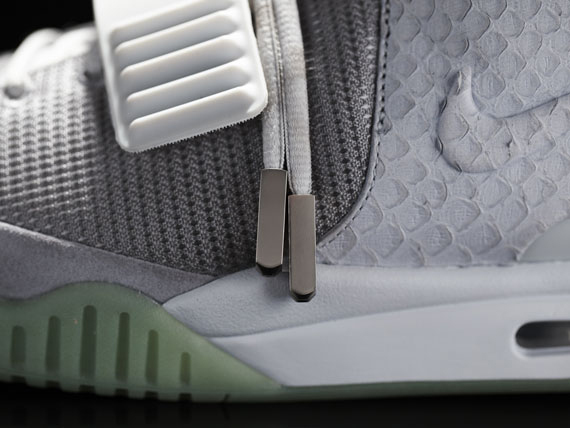 Built on the Air Tech Challenge II outsole with design inspiration gathered from other classic Cross Training silhouettes, the Air Yeezy 2 draws upon the animalistic appeal with the anaconda-textured leather and reptilian-inspired spikes along the heel, but also serves true function as unnecessary padding was removed and the tongue and collar are both comfortable and breathable. 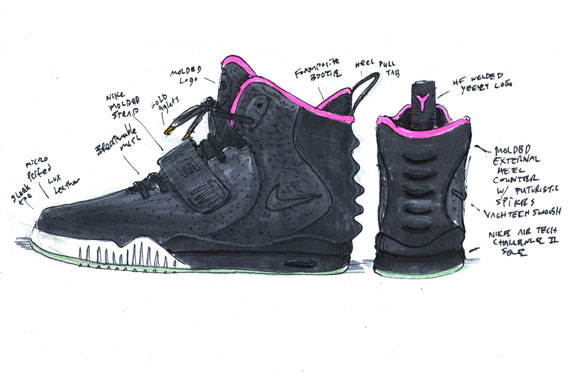 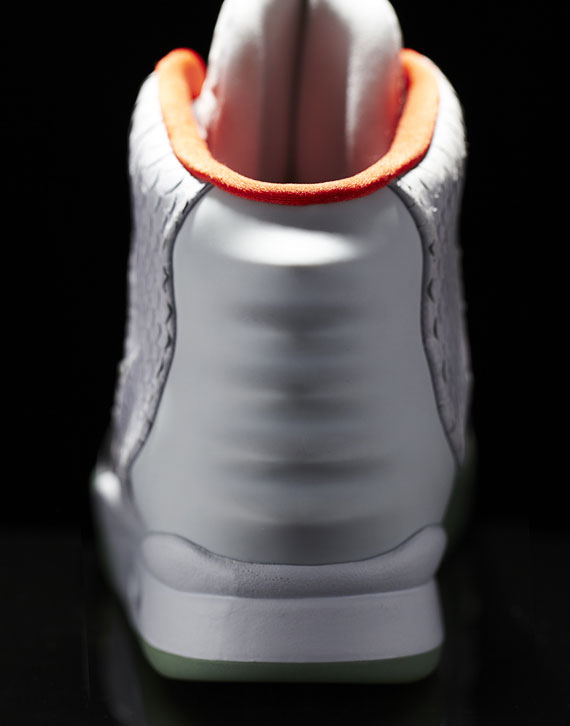 Clearly, the shoe is slimmer and a bit lowered compared to the original Air Yeezy, as it was tailored to fit Kanye’s foot and designed for comfort and movement. 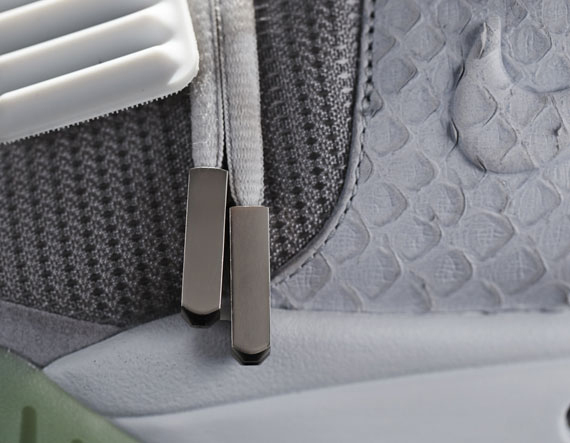 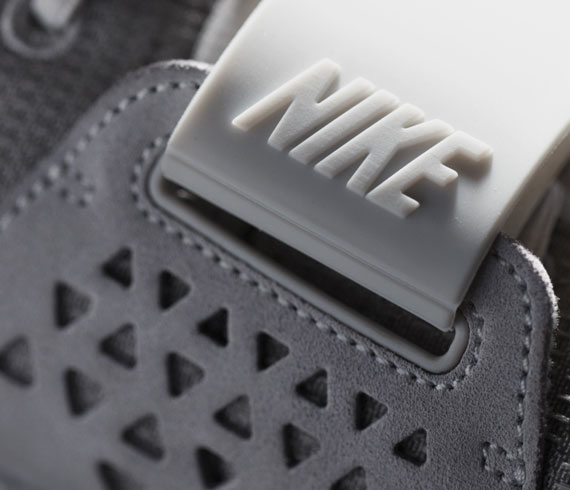 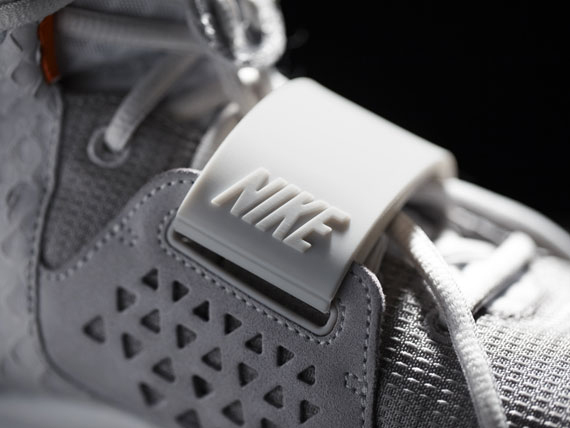 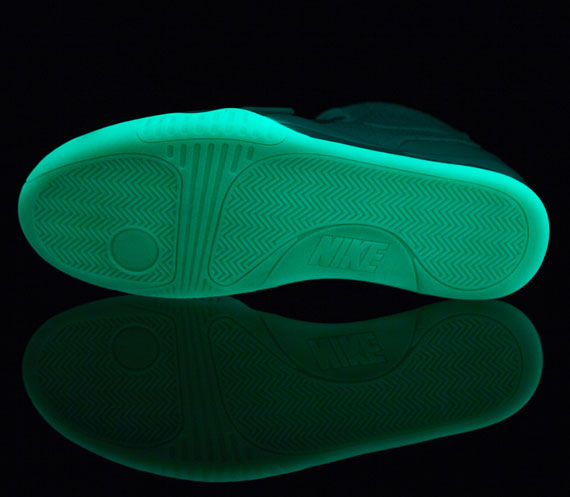 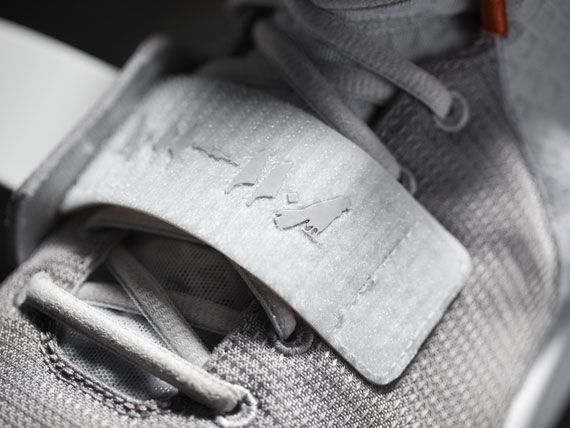 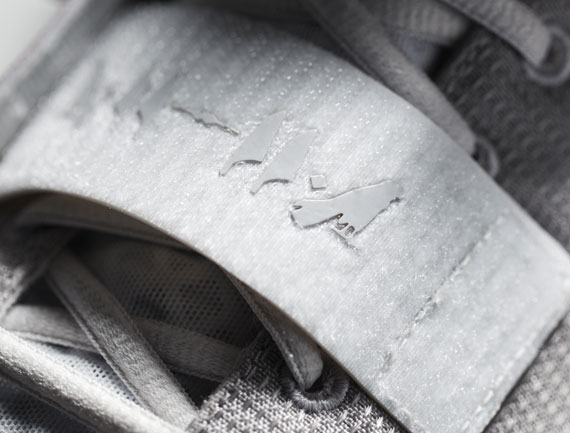 One of the highlight details of the Air Yeezy 2 is the selection of materials; a luxurious combination of rich leather, rugged ballistic nylon, and soft nubuck complete an awe-inspiring package of high-end feel. 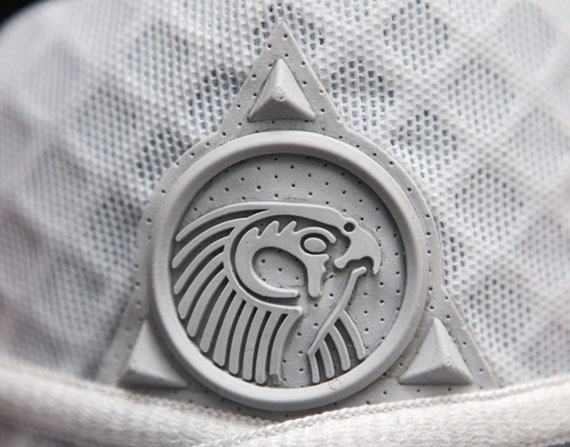 The added details refer ancient civilizations, like the emblem of Horus on the tongue, the hieroglyphics that spell out ‘YZY’, and ‘lace-lock’ holes that spell out the Roman numeral ‘II’. 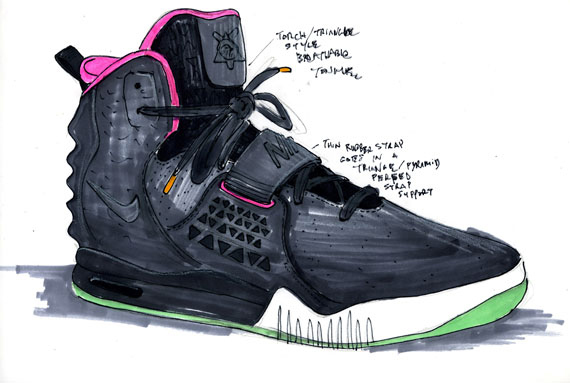 The Nike Air Yeezy 2 will release globally on June 9th at select retailers and will be very limited in number, so continue reading for these official detailed images and stay tuned for more updates regarding the release of what is surely one of the best sneaker releases of 2012.